I tried out a new technique for today's Mani Monday, Saran Wrap Nails! 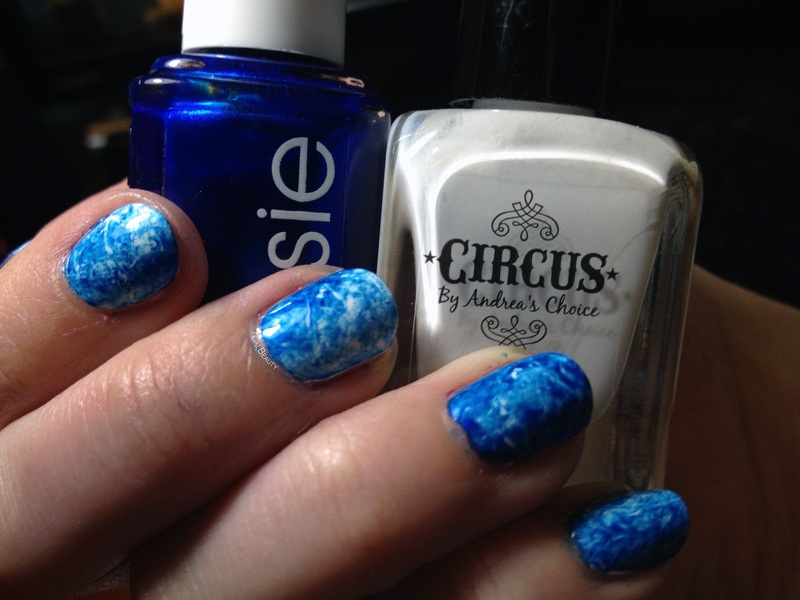 I have to say I really LOVE this mani! It's super easy and super fast! Just simply paint your base color down and let it dry completely then apply your top color and take your piece of saran wrap, tap till you reach your desired look then finish with a top coat and BOOM! Pretty textured nails! 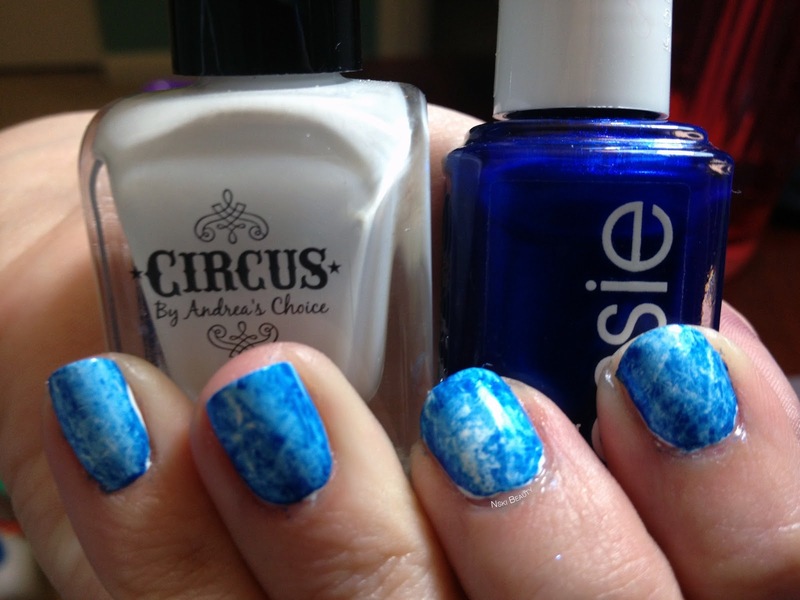 For my base color I applied two coats of Circus by Andrea's Choice in the color Reverso. 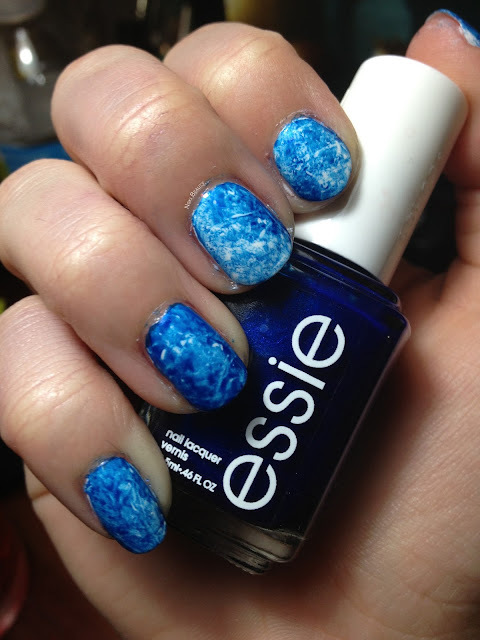 For my saran wrap texture color I used Essie's Aruba Blue. 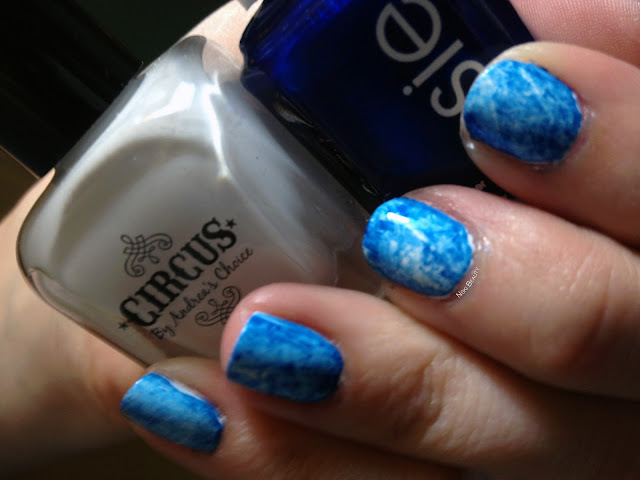 Looking at my nails make me think of two things: the ocean and stone wash denim jeans. Both make me smile and think of summer! I love all your mani techniques! Can we make requests? If so, I'd love to see this one! Thanks! Of course I'd love to take request for looks!! I'll see what I can put together for next week! Thank you for the idea!! LOVE these!! They remind me of the ocean. I def. want to give this a try!